Papa Don’t Preach, Open Your Heart, La Isla Bonita, Live To Tell, True Blue. 5 transatlantic #1 hits and all but one are standout tracks in Madonna’s lengthy discography. The opening strings of Papa Don’t Preach instantly set the tone for an album full of drama, fun, emotion and the best pop music of the decade. Thanks in part to career best vocals to date on songs like Live To Tell and future Spanish flamenco concert staple La Isla Bonita Madonna sounds more like herself than ever on True Blue. Following on from Like A Virgin, this album is surely the moment her detractors finally gave up complaining and gave into the top notch pop tunes written, produced and performed by Madonna herself. Tracks like Jimmy Jimmy and Where’s The Party keep the high energy going throughout, while even at its worst, on the UK #1 hit title track, everything is still inescapably catchy. There’s a party atmosphere on the entirety of side B, closer Love Makes The World Go Round is a samba carnival explosion. When people think of 80s Madonna, these are the songs they think of; pop music that Madge is fully in control of at all times. When she tells you to ‘Watch Out’ as Open Your Heart begins, she’s giving you fair warning of one of the decades best records, full of layered drums and as many sexual metaphors as you’d expect. It’s a prime example of Madonna asserting herself as the dominant figure in these fantasies though, ‘I’ll make you love me’ feels aimed at her detractors as well as whoever it is she wants to ‘turn the key’. True Blue is the moment Madonna stopped being simply a popstar, this is the moment she became the Queen of Pop. Will I listen again? : Of course. Best Track: Any of the 4 hit singles could be here, but for me Open Your Heart is one of the best pop records of the 80s. 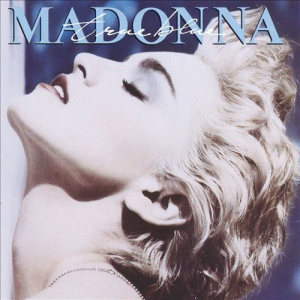 Tags: Madonna, Open Your Heart, Papa Don't Preach, The World's Greatest Hits, True Blue. Bookmark the permalink.